Who Can Produce Maple Syrup? Which Variety of Maple Tree Produces the Best Syrup? 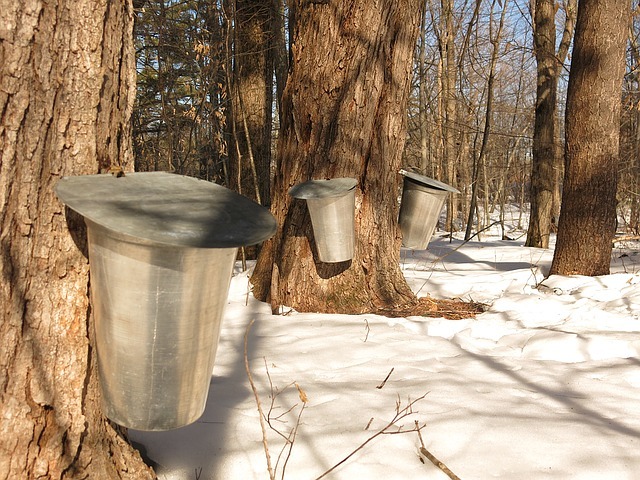 According to the Cornell Sugar Maple Research & Extension Program, the aptly-namedSugar Maple lives up to its name and is generally said to have sap with higher sugar content, thereby producing better flavored syrup than other maple species. Although no one knows the exact reason for the higher sugar content, scientists suggest it may be related to the structure of the wood where the sugar is stored. Other commonly tapped maples include the Red Maple (or Soft Maple), Black Maple andSilver Maple. And now, we take a moment to give you this brief science lesson: Sugar is produced in the leaves during photosynthesis. It is transported into the wood and stored during the winter, mostly in the form of carbohydrates. It is then converted to sucrose and dissolved in the sap. © 2017 NYS Maple Producers Association. All Rights Reserved.